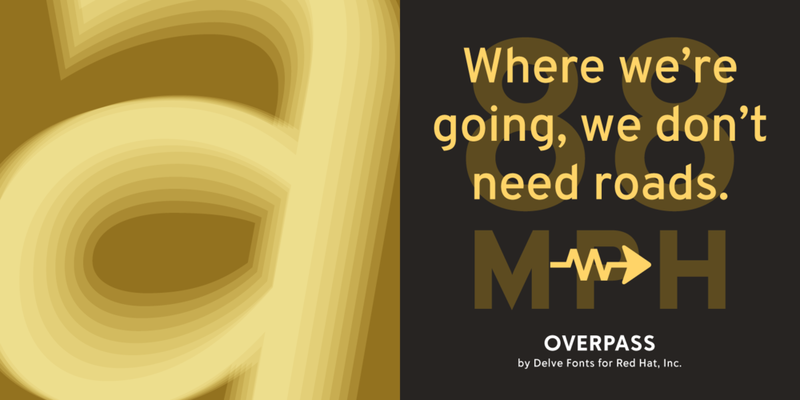 Overpass is a typeface created at Delve Fonts for Red Hat, Inc., the premeiere provider of open-source software products to the world. Designed by Delve Withrington between 2011–2016, with the assistance of Thomas Jockin and Dave Bailey. Dave was responsible for creating optically correct oblique companions to the roman, as well as drawing the majority of the monospace glyphs. You may recognize Overpass as the typeface used on United States highway signage. While that assumption is not exactly correct, the design of Overpass is in fact an adaptation of those letterform standards developed by the U.S. Federal Highway Administration. From the original engineered forms, there were deliberate adjustments made to make the type work at smaller sizes, on screen and eventually adjustments at the light end of the weight spectrum for use at large sizes. Professional programmers tested Overpass Mono during its development. Careful consideration was given to the appearance and vertical position of characters commonly used in contemporary programming languages based on user feedback. As an example, the zero (0) is dotted for disambiguation from capital letter ‘O’ but a slashed zero is also provided for those preferring that form. Another is the six-pointed style and midline position of the asterisk that handily takes up the task of representing the elusive multiplication symbol. The introductory character set of Overpass is com­prised of over 430 glyphs covering dozens of Latin alphabet based lang­uages. 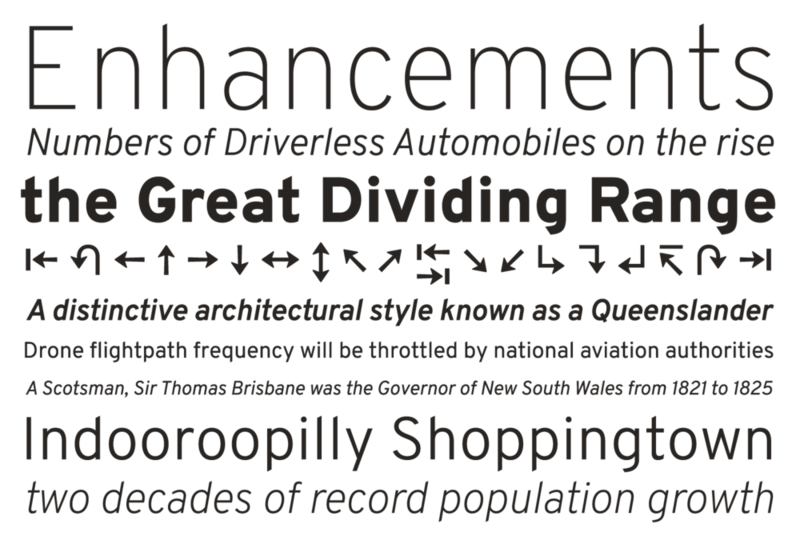 Overpass Mono boasts over 980 glyphs covering the same languages but also includes complete Unicode® ranges for Mathematical Operators and Box Drawing, plus a selection of over 30 Arrows, and more. Red Hat has generously made the Overpass family freely available to the public under the SIL Open Font License and the GNU Lesser General Public License (LGPL).